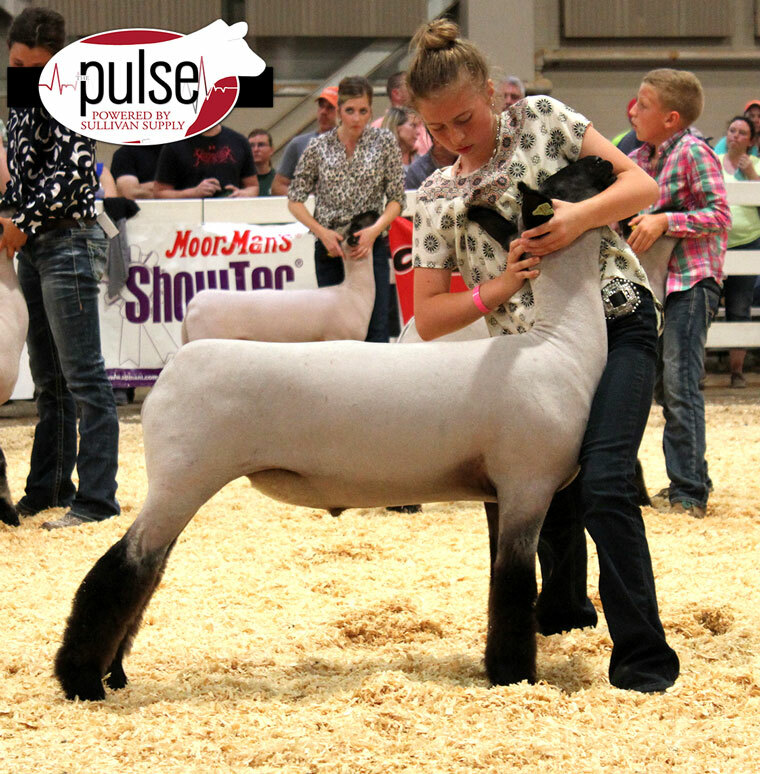 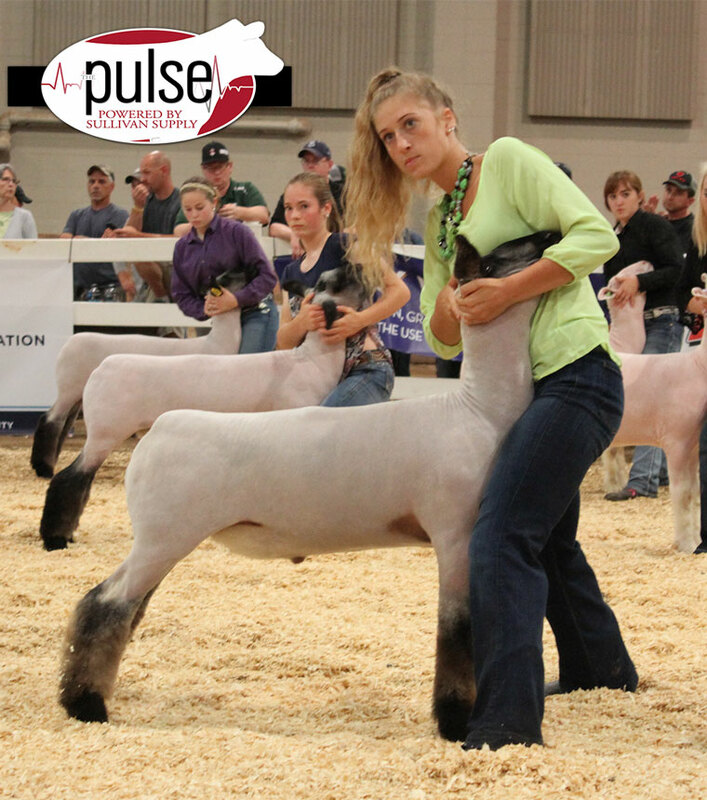 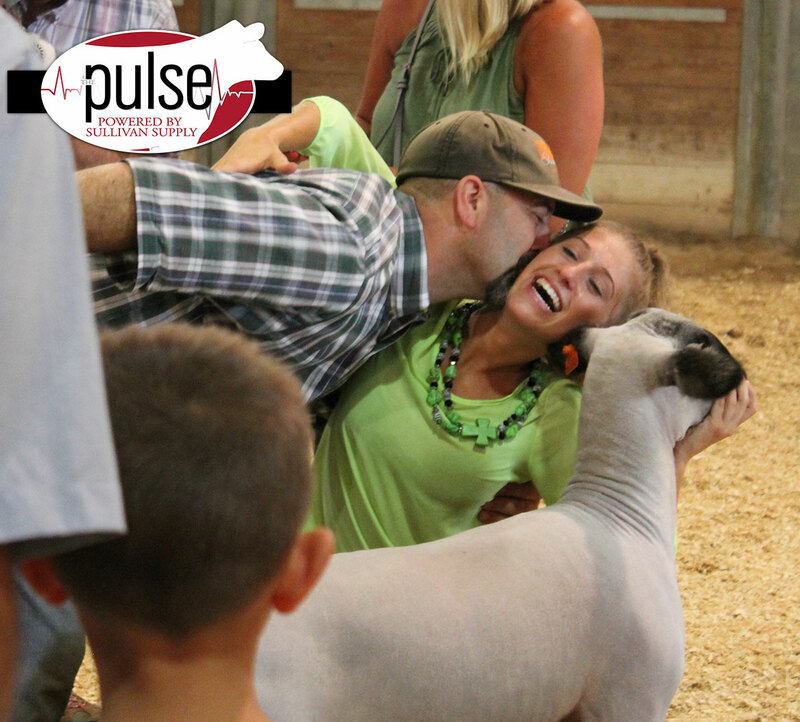 Maddy Stewart receives a big kiss from her dad after his two daughters topped the sheep show. 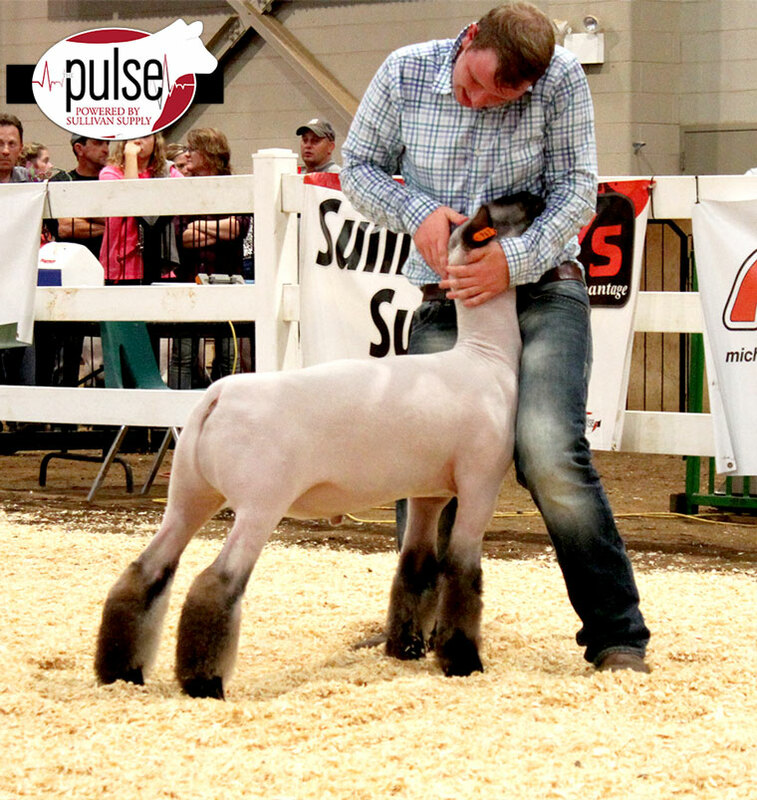 Brad Chapman sticks his lamb during division. 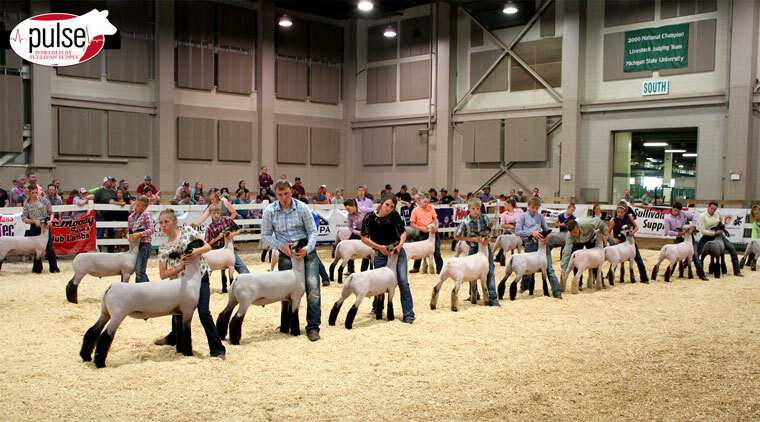 Brad went on to win third overall market lamb.